Workers at the Rogue Ales brewery have plenty of reasons to unionize, says Chris Muhs, secretary-treasurer of Teamsters Local 324. 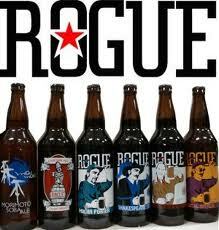 For starters: Base pay for most of the 29 workers who produce and bottle beer at Rogue’s Newport, Oregon, craft brewery is Oregon’s $8.50-an-hour minimum wage. Bonuses of a dollar or more an hour are added, but are unpredictable and irregular, and workers don’t know how the bonuses are calculated. Minimum wage pay makes the company’s 401(k) match not very meaningful, and it makes it hard for workers to afford what even the company admits — on its website’s jobs page — is “bad health insurance.” Employees can pay over $800 a month for family coverage. To top it off, Muhs says, Rogue Ales has a habit of firing and rehiring workers, and posting and changing schedules with little or no notice. Muhs learned all this spending time with brewery workers after he got a call from bottling line worker Rodrigo Alruiz. “It was the most disrespectful thing I ever saw,” Alruiz told the Labor Press. Word among co-workers, Alruiz says, was that two employees had tried to unionize several years before, and were fired by the company. Alruiz, who is 37 with a wife and two kids, knew he was taking a risk to call the Teamsters. But his brother-in-law had been a Teamster at UPS. When he was sidelined by a life-threatening ailment and UPS tried to cancel his health coverage, the Teamsters fought and won continuation of the benefits. Alruiz called his brother-in-law’s union local, and they referred him to Muhs at Local 324.